North Carolina played in each of the four most highly attended sessions. Largest single-game crowd at Rosenblatt (30,553 on June 20, 2008) exceeded the largest crowd to date at TD Ameritrade (27,127 on June 15, 2013) by a 12.6% margin. Largest crowd at TD Ameritrade Park to date comes in at #7 on the all-time attendance list. 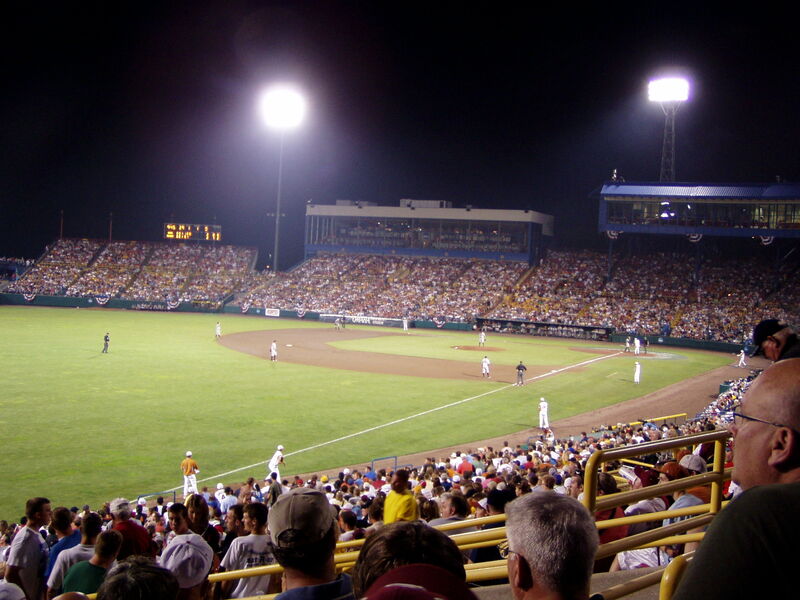 When talk of replacing Rosenblatt Stadium began to swirl around Omaha in 2007, the need for more seating was routinely cited as justification for a new stadium. At the end of the seventh year of play at TD Ameritrade Park, it would appear that the demand for more seating was overstated. It looks like the City of Omaha could have saved its taxpayers about $130 million by staying keeping Rosenblatt Stadium alive. A statistical comparison of Rosenblatt Stadium to TD Ameritrade Park. What happened to Rosenblatt Stadium? Enter your email to get notifications of new.